It’s officially the holiday season! And before I hop right into my holiday baking, I wanted to test out this recipe I have been dreaming about for a while. Potato and Goat Cheese Gratin is like music to my ears. I can’t imagine something more perfect that potatoes layered with 3 kinds of cheeses and a little cream to bring it all together. While this might not be the healthiest side dish of all times, it is certainly decadent and mouth-watering. The combination of the Monterrey Jack and Parmesan Cheese alone is to die for, but crumble in some tangy goat cheese and you have one winning dish! This will definitely not last long in my house! This Potato and Goat Cheese Gratin is going to be the perfect compliment to my holiday meal when I head back to Seattle for Christmas! Imagine serving it with a big mixed green salad, a whole roasted Chicken with tons of herbs and lemons and then maybe a little roasted Parmesan cauliflower too. But in the mean time, I plan on taking a fork to this dish and helping myself! Place a layer of potatoes in an overlapping pattern and season with salt and pepper, a touch of nutmeg and a sprinkle of chopped garlic and fresh thyme. Sprinkle the top with a little salt and pepper and sprinkle some goat cheese, jack and Parmesan on top. Pour some of the cream on top of this layer. Repeat these steps 3 more times to have a total of 4 layers. Top with some grated Parmesan. Bake, uncovered, for 50 minutes. 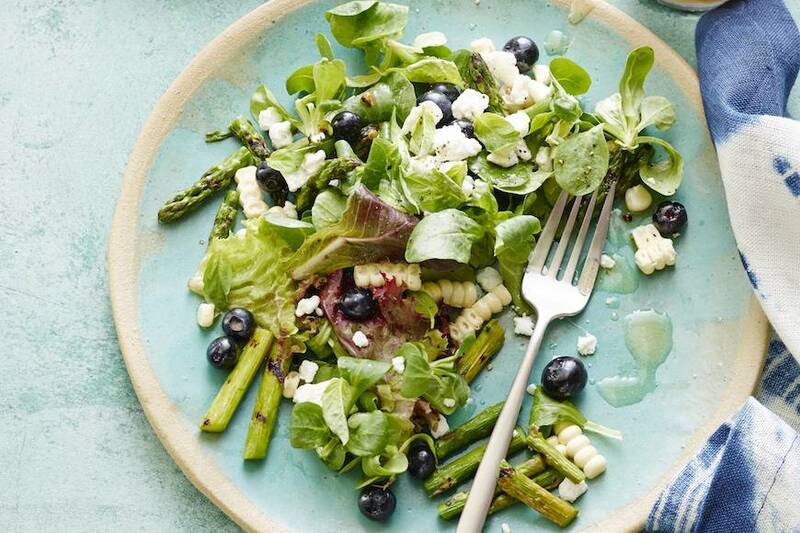 i’m not sure if life can go on til i make this…you had me at goat cheese! Holy macarons! Gaby, this looks absolutely, mouth-watering delicious! I started drooling when the picture appeared. Hubba hubba! Oh wow! Yummm!! I printed this recipe & will be making it sometime this week…..thank you!! I had a very similar potato gratin for Thanksgiving dinner, and I bet this one tastes just as wonderful! I hope you had a great Thanksgiving, Gaby. Thanks for sharing this delicious potato dish! I’ll have to give this a try sometime soon. You and me both Marla!!!! Wish you were closed so you could have had some of this too! Three types of cheese…this one has got to be good. YUM! Tangy cheese and carbs (i.e. potato)…count me IN! Love that there is goat cheese in this. Delicious! I love any kind of Gratin – this looks especially delicious! Cheese,potatoes… really what else do you need??? I ‘ve made a number of gratins but never one with ALL those cheeses together and can’t believe I haven’t done this!!! Decadent, yes… but after all “it’s the halidays”…. as my BFF would say!!! I’m all about the holidays!!! Bring on the cheese and the cream please! My mom made potato gratins when I was a kid and I loved them, but I have never really made them. You make it sound so easy. 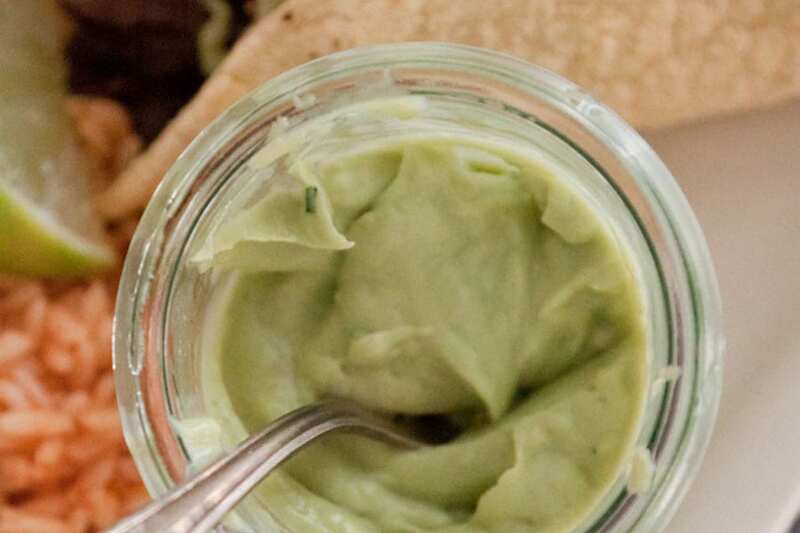 I will have to hit the farmers market this weekend for some goat cheese and try this for sure! I’m just going to have some company! This sounds so yummy! My mouth is watering from looking at that picture! I can’t wait to try it in Seattle! Such a great classic dish. Everyone should make this. 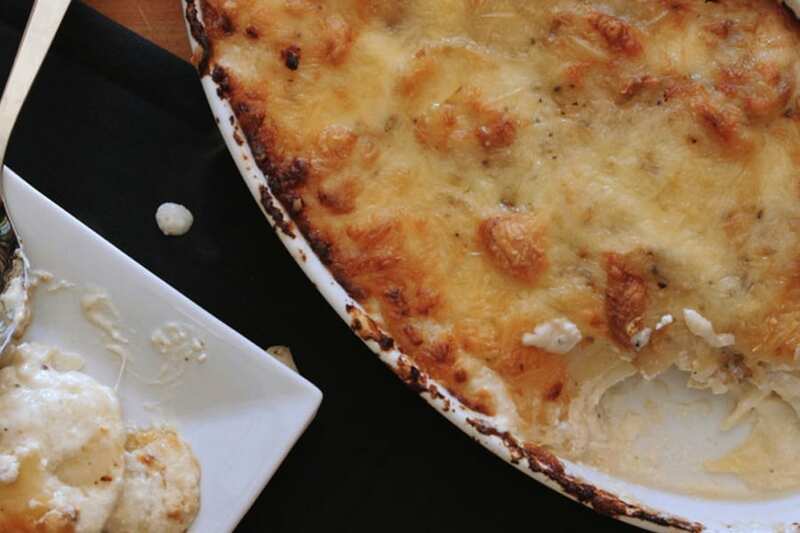 Hi Gaby: I made this potato and goat gratin cheese gratin for a birthday dinner this evening and it turned out so creamy delicious! I didn’t have monterey jack cheese on hand, so I used colby jack. It smelled so good while baking – you could smell the nutmeg. Served it alongside a juicy Morton’s tri-tip, green beans and baked tomatoes and a glasses of Pinot Noir. It was a hit! I drizzled some of the creamy sauce from the gratin on the tomatoes and tri-tip. Will definitely be making this again and will do a write-up next time (not enough time this eve). That looks lovely! 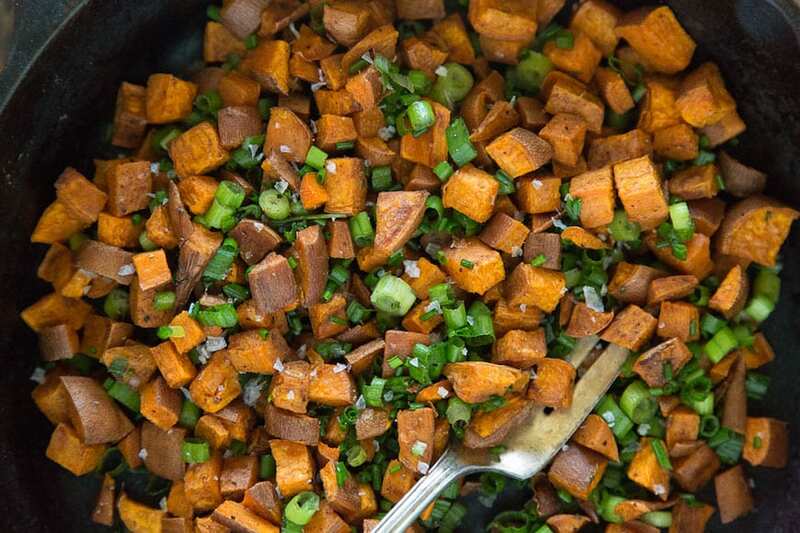 It’d make a wonderful side dish to any holiday table! This really does look scrumptious, Gabby, and your photos are sensational. I make potato gratin often, but your idea of including goat cheese (brilliant) and jack cheese along with the Parmesan sounds delicious. Must try! What brand of goat cheese did you use in this recipe. Oh boy, Gaby – I think you might have hit the jackpot with this one! That looks SCRUMPTIOUS! Needed a potato side dish to wow the family for Easter. My mom ended up inviting 30 people, uh, no pressure!!! Esp since I hadn’t tested this dish first (or ever made potato au gratin). OMG!!! The aroma from this dish in the oven was torture. I couldn’t wait to taste it. Everyone loved it and I barely got a small serving to take home. It disappeared quick!!! Thanks for all your amazing recipes. Found you over at Tastespotting with your brussel sprouts photo. 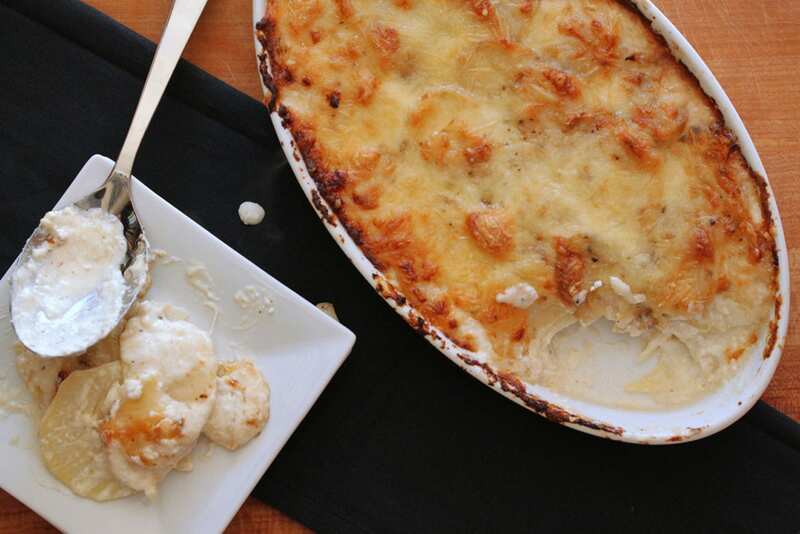 Perused your blog and landed on this Potatoe and Goat Cheese Gratin. This is what I’m making for lunch today. It is the rainy season in Central Mexico. The weather is mild but overcast and lots of rain. This comfort food is just what I’m craving. I made this last night for dinner tonight and I’m kind of ashamed to admit how much of it I ate before putting it into the fridge. This was absolutely delicious. My only problem was that I didn’t slice all of my potatoes thin enough so I would come to a bite that was just a little crunchy every now and then. I’ll definitely be making this again though! omg Katie!! I am the same way. I just keep attacking it with a fork and then before I know it…. well, half of it is gone. So glad you liked it!